First look at the middle part of the body. 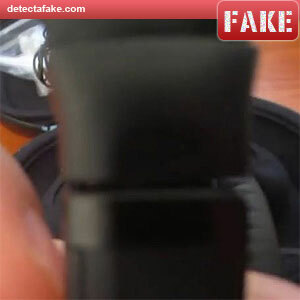 With some of the fakes, you can see the seam where the two plastic parts were joined together during manufacturing. On the real one, it is made of one piece and there is no seam. Next, locate the "R" & "L" on the side of the headphones. Rub across it with your fingers. 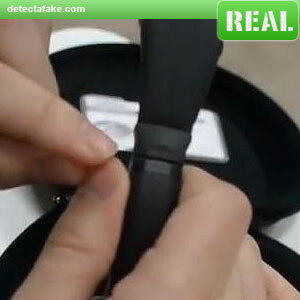 The fake ones often feel rough and will catch on your skin when you rub it. 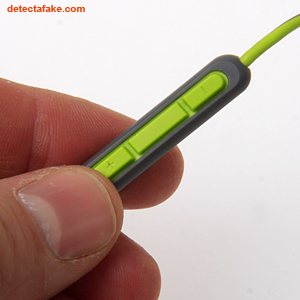 The real ones are constructed much more precise and do not have any rough edges to catch on. 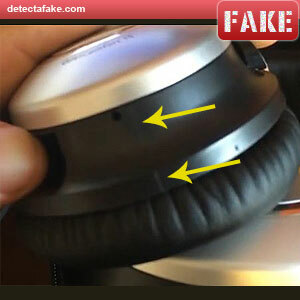 You also need to check the side of the headphones where they expand. Make sure when they are fully contracted that they have no gap between the two pieces. If they don't close all the way, they are fakes. 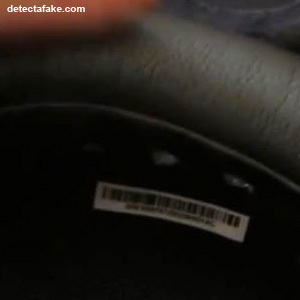 Next look at the serial number. 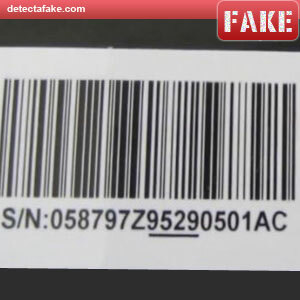 The part of the serial number that is underlined represents the month and the day of the year. In this case, the first number is "9" so that represents September. The last three numbers are "529" which should represent the day of the year but since there are only 365 days in a year, this one is fake. It should be between "001" and "365". Next make sure the serial number on the box matches the serial number under the cup. Lift on the foam cup and you should see a serial number. There should be a serial number on under both cups and they should all match. 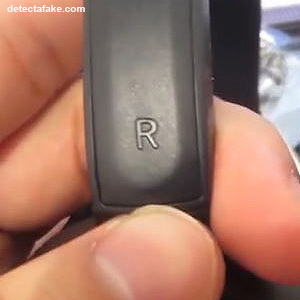 If any are missing or don't match, they are not authentic. If you are using this with an Apple product (iPhone, iPad, iPod), Bose provides a cable that controls the volume, play and pause. These buttons usually do not function right. Volume up may move it down or play may not work or some other problem. 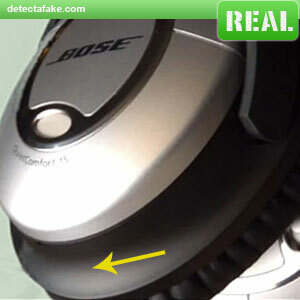 In any case, if any of the buttons don't function properly, they're probably fakes.